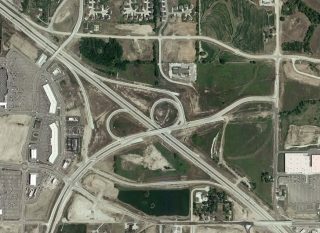 Missouri 364 is the Page Avenue Extension, a freeway running west from Interstate 270 at Maryland Heights to I-64 through the St. Charles County suburbs. The numbering corresponds with Interstate 64 to the south, but is otherwise coincidental. 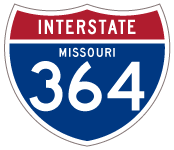 No plans are in place to add Missouri 364 to the Interstate Highway system. 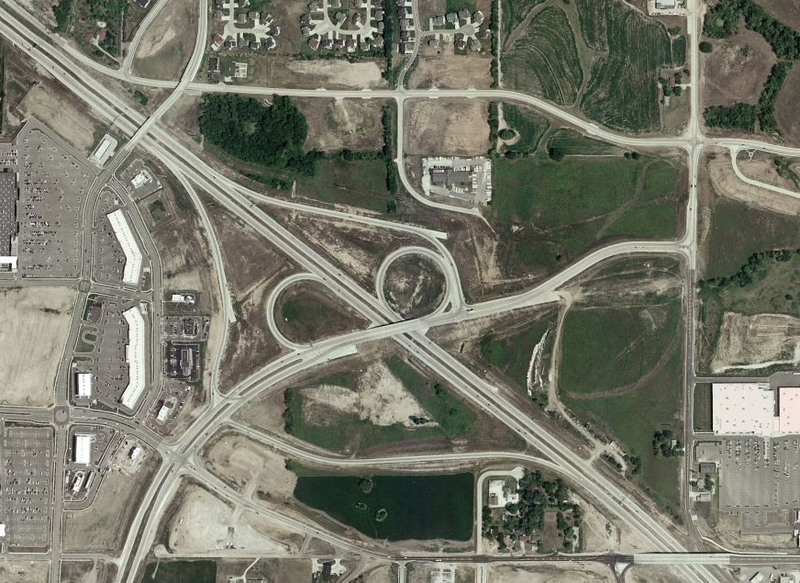 Aerial image of Interstate 64 &amp; U.S. 40-61 at County Highway N in O’Fallon. Ramp stubs were built into the interchange for the eventual Missouri 364 freeway extension. Land was also cleared for the corridor eastward, including a stretch of County N and South Outer Road 364. “Snow is Already Halting Traffic on Bridge – and it’s Not Even Open Yet.” St. Louis Post-Dispatch (MO), December 13, 2003. Dowd, Brian. Personal email. “Mo Highway notes.” November 22, 2004. “Ceremony to mark opening of Route 364/Page Phase 3.” St. Louis Post-Dispatch (MO), October 29, 2014.